Pleurisy Root is a valuable native medicinal plant that is at risk of becoming extinct due to over harvesting and lack of proper cultivation when harvesting. This easy to grow sun loving plant is an asset to the herb and wild flower garden, drawing an enormous amount of pollinators to his beautiful bright orange flowers. Pleurisy Root, as his name suggests, is a supreme lung herb, as well as helpful for flushing the urinary system and stimulating the digestive system. 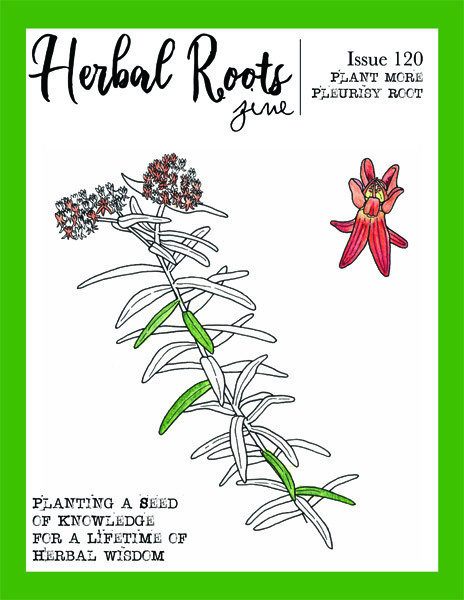 Learn how to use this plant medicinally, what other herbs can be used in his place and how to cultivate this wonderful plant yourself to help bring back the plant population in this issue of Herbal Roots zine. Maze: Can you find your way through the Pleurisy Root flower?